The Long Now Foundation works to encourage long term thinking in our increasingly “now” oriented culture (read more about them and their projects below). Long Now just opened a new cafe, bar and event space called The Interval at Fort Mason Center. It features prototypes and artifacts from the 10,000 Year Clock they are building, thousands of books on floor-to-ceiling shelves, art created by Long Now co-founder Brian Eno, and a cocktail menu designed by Jennifer Colliau (Slanted Door / Small Hand Foods) There’s a great article at eater.com on their recent launch. All this in their amazing, inspiring space along with your fellow Humanitarians, a great chance to meetup, hang out, and get to know each other better over some delicious drinks. The night starts at 6pm and we’ll hang out for a little less than a millennia (The Interval is only open until midnight anyway). The Long Now Foundation was established in 01996 to encourage and foster long-term thinking and responsibility through a variety of projects including a Clock designed to last 10,000 years, a monthly Seminar series about long-term thinking, Revive and Restore which is focused on genetic rescue for endangered and extinct species, and the Rosetta Projectwhich preserves the diversity of human languages. In short their goal is to make long-term thinking more automatic and common rather than difficult and rare. The term “Long Now” was coined by co-founder Brian Eno after observing that in New York City the word here meant “this room” and now meant “about five minutes”. It led Brian to reflecton the importance of living in a bigger here and a longer now. 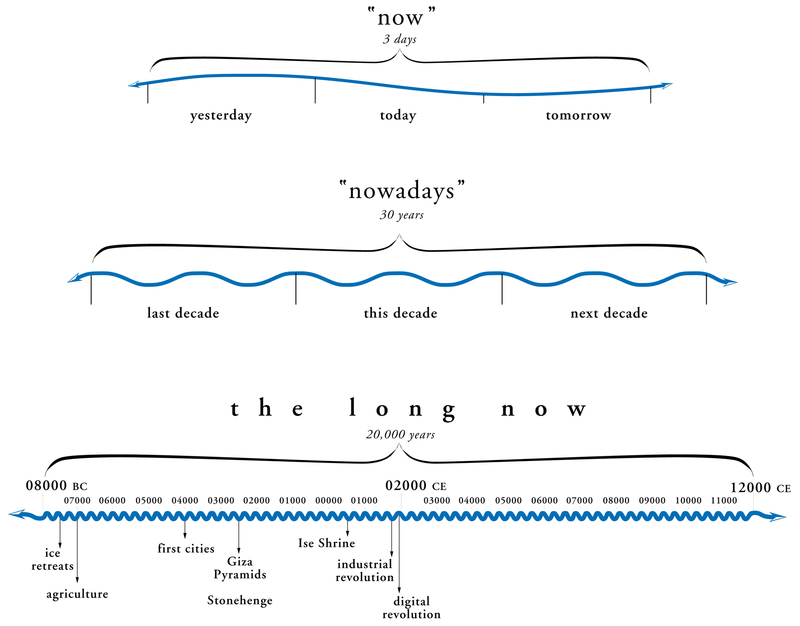 What does “the long now” mean? The 10,000 Year Clock is a project to build a monument scale, multi-millennial, all mechanical clock as an icon to long-term thinking. The Rosetta Project is Long Now’s first exploration into very long-term archiving. The project is a global collaboration of language specialists and native speakers building a publicly accessible digital library of human languages. 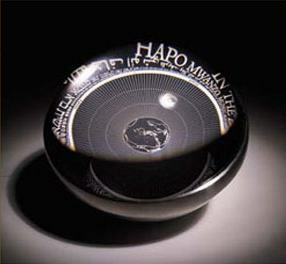 Below is an image of the Rosetta Disk: thousands of pages of language information micro-etched on a nickel disk in order to preserve them without the risk of digital obsolescence.